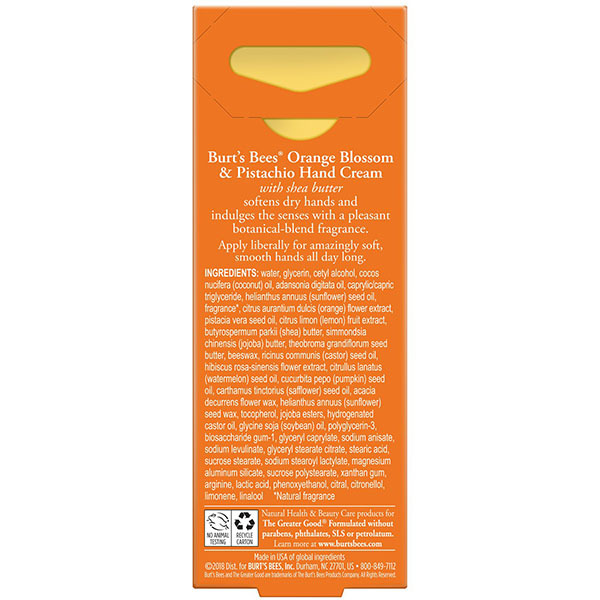 Orange Blossom & Pistachio Hand Cream is rated 4.8 out of 5 by 4. 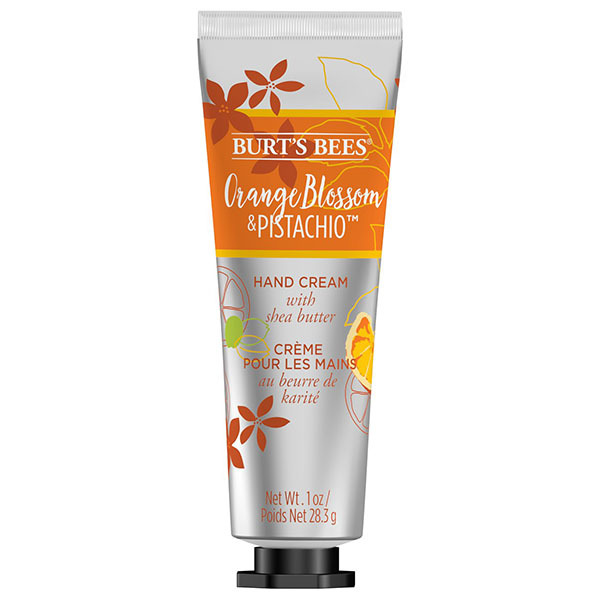 Burt’s Bees® Hand Cream with Shea Butter softens dry hands and indulges the senses with the pleasant scent of Orange Blossom & Pistachio. 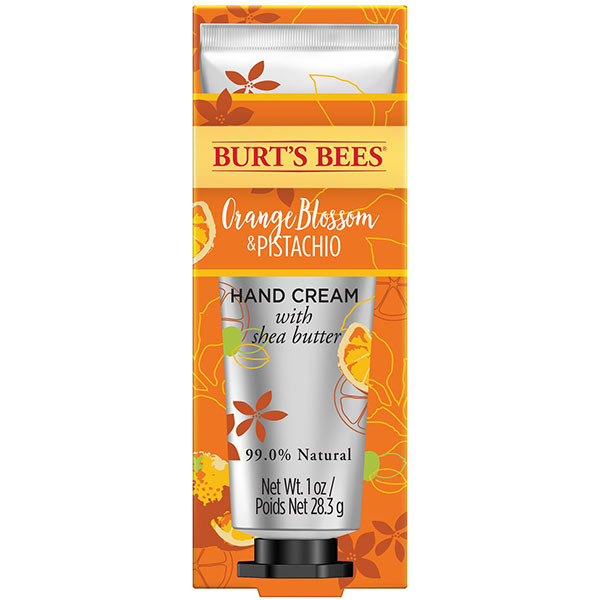 This luxurious hand cream nourishes hands with all day moisture and a rich buttery texture that goes on smoothly and leaves hands feeling silky smooth. Ingredients: Water, glycerin, cetyl alcohol, cocos nucifera (coconut) oil, adansonia digitata oil, caprylic/capric triglyceride, helianthus annuus (sunflower) seed oil, fragrance(natural fragrance), citrus aurantium dulcis (orange) flower extract, pistacia vera seed oil, citrus limon (lemon) fruit extract, butyrospermum parkii (shea) butter, simmondsia chinensis (jojoba) butter, theobroma grandiflorum seed butter, beeswax, ricinus communis (castor) seed oil, hibiscus rosa-sinensis flower extract, citrullus lanatus (watermelon) seed oil, cucurbita pepo (pumpkin) seed oil, carthamus tinctorius (safflower) seed oil, acacia decurrens flower wax, helianthus annuus (sunflower) seed wax, tocopherol, jojoba esters, hydrogenated castor oil, glycine soja (soybean) oil, polyglycerin-3, biosaccharide gum-1, glyceryl caprylate, sodium anisate, sodium levulinate, glyceryl stearate citrate, stearic acid, sucrose stearate, sodium stearoyl lactylate, magnesium aluminum silicate, sucrose polystearate, xanthan gum, arginine, lactic acid, phenoxyethanol, citral, citronellol, limonene, linalool. 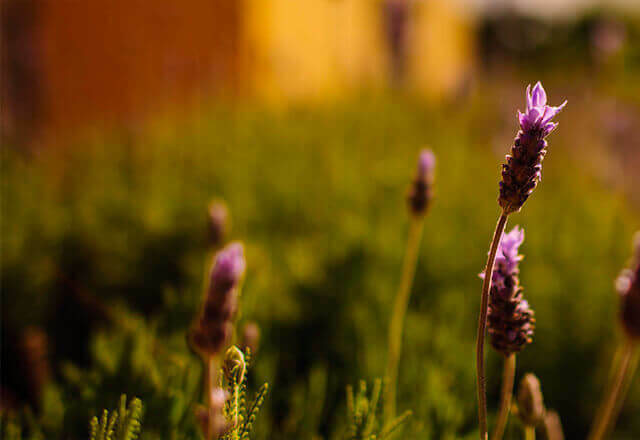 Apply liberally after an evening shower or anytime for amazingly soft, smooth hands all day long.